Yuan-ti have the Darkvision (60 ft) trait. Poison Use: Some naga are skilled with poison and never risk accidentally poisoning themselves when applying it to weapons. This replaces the Poisonous bite (which becomes a standard bite) trait. 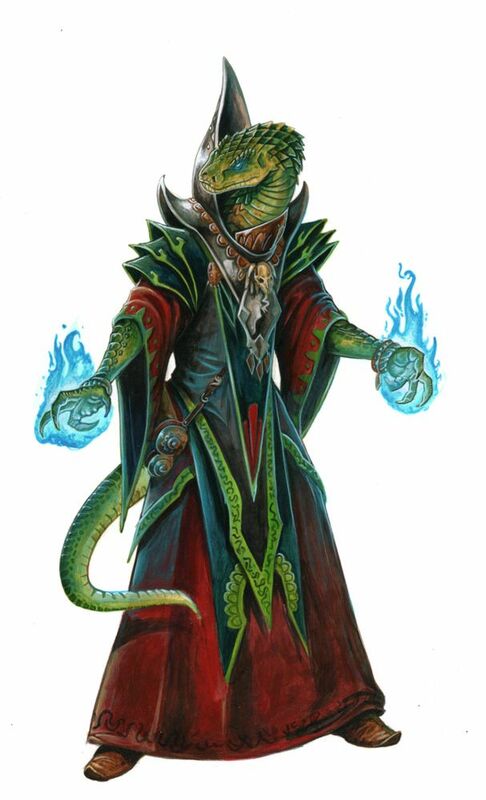 Slapping Tail: The yuan-ti have a tail they can use to make attacks of opportunity with a reach of 5 feet. The tail is a natural attack that deals 1d8 points of damage plus the yuan-ti’s Strength modifier. This replaces the battle hardened or poisonous bite trait. Prehensile Tail: Members of this race have a long, flexible tail that can be used to carry objects. They cannot wield weapons with their tails, but they can retrieve small, stowed objects carried on their persons as a swift action. This replaces the poisonous bite trait.